A once-in-a-decade upgrade to our wireless systems is coming this year. The technology world is already abuzz with excitement about the transition to 5G in 2019. But those of you who might not be as tech-obsessed may have some questions about what 5G is and why it’s such a big deal. We break it down for you in this week’s Tech on Tuesday. Fifth-generation cellular networks, or 5G for short, is a set of technical ground rules which define the workings of a cellular network. This includes the radio frequency used and how things like computer chips and antennas handle radio signals and exchange data. Engineers from various companies have been meeting to agree on new specifications for cell networks since the first cellphones were demonstrated in the 1970s. But it doesn’t just affect your smartphones. Other devices like industrial robots, security cameras, drones and cars that send traffic data to one another will all see the impact of 5G. It’s safe to say 5G will be noticeably faster than our current 4G, but just how fast will that be? 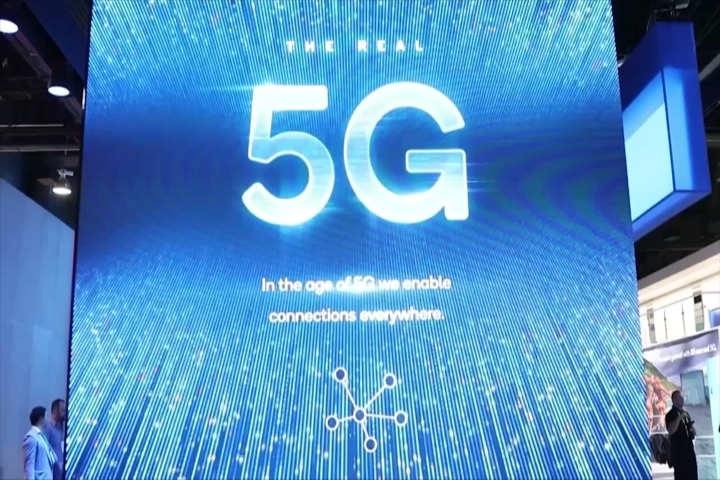 Qualcomm, the wireless chip maker, told the New York Times it had shown peak 5G download speeds of 4.5 gigabits, but expect initial median speeds of about 1.4 gigabits. That is about 20 times faster than the current 4G experience. Users will especially notice the 5G speeds in higher-quality streaming video. Qualcomm says downloading a standard movie at the median speed will take 17 seconds with 5G, as opposed to six minutes to download for 4G. When will we see 5G in the U.S.? While the precise timing is unclear, smartphone users in the United States should see 5G by the second quarter of 2019. AT&T has already switched on mobile 5G service in 12 cities, but right now smartphones aren’t ready for a direct connection to 5G networks. Until then, AT&T will market a 5G hot-spot device to funnel wireless broadband connections to nearby phones and computers. Right now, the first Samsung smartphones for AT&T’s 5G network is expected to be available in the first half of this year. Apple users may have to wait a little longer, as analysts predict iPhones with 5G capabilities won’t arrive until 2020.